We’re pleased to welcome two new additions to our Anti-Freeze range – Rapid Cool Red and Rapid Cool Blue! 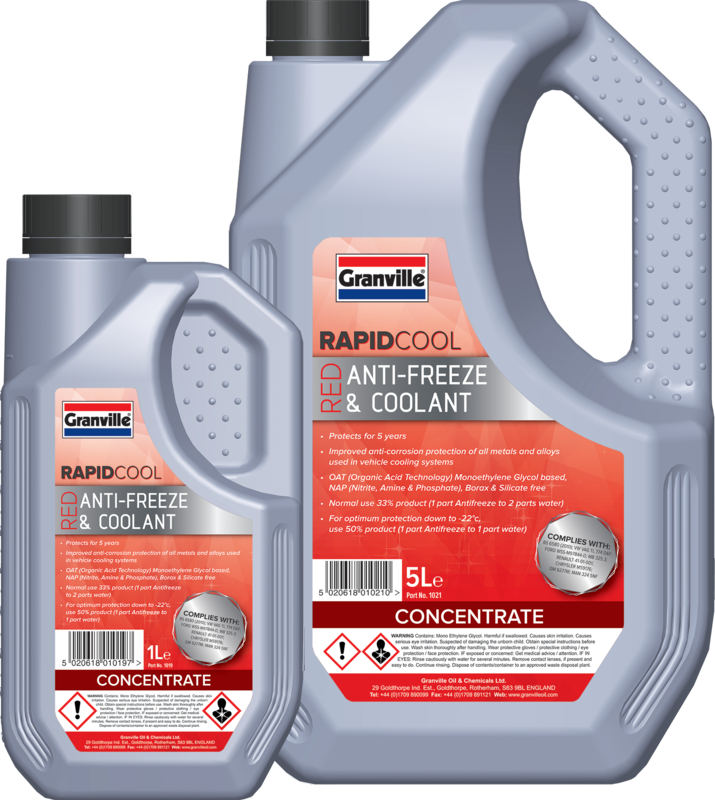 Granville Rapid Cool Red Antifreeze and Coolant is an Ethylene Glycol based engine coolant concentrate which uses Organic Acid Inhibitor Technology (OAT) and is free from nitrates, amines, phosphates, borates and silicates. Rapid Cool has a 5 year or 250,000km life and should be changed whichever is sooner. Unlike traditional coolants which employ inorganic inhibitors, Rapid Cool Red has excellent hard water stability and very low inhibitor depletion rates. 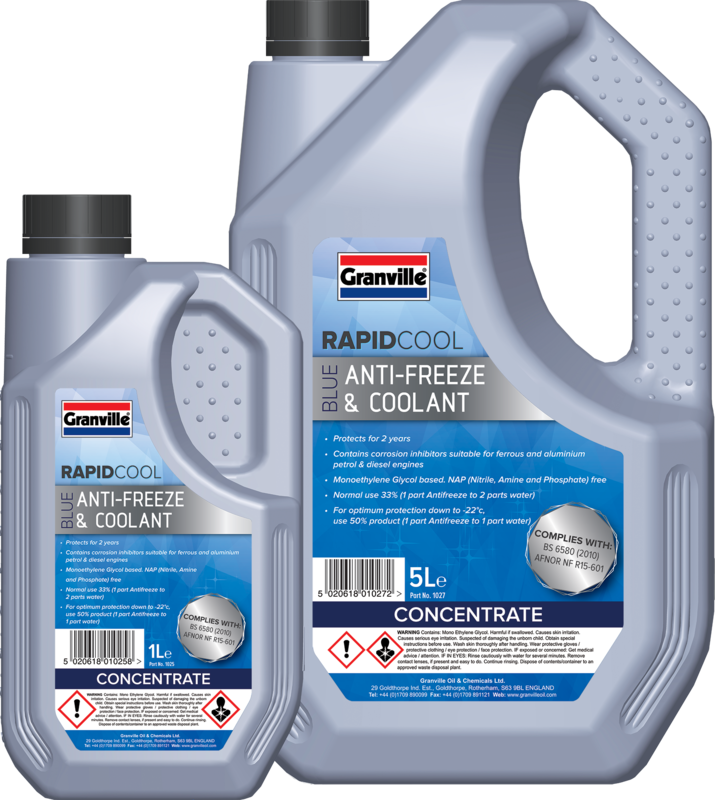 Granville Rapid Cool Blue Antifreeze and Coolant is a Mono-ethylene Glycol based antifreeze that does not contain nitrates, amines or phosphates and provides protection for up to 2 years. Rapid Cool Blue Antifreeze contains corrosion inhibitors suitable for aluminium engines and is suitable for use in petrol and diesel engines. Both variants are available in 1 Litre, 2 Litre, 5 Litre and 20L for your convenience. These along with our other range of Antifreeze and Coolants will be essential for the upcoming winter – make sure you’re prepared! *Please make sure you use the correct type of Antifreeze as recommended by your vehicle manufacturer.